Open macOS DMG files on Windows. Extract any file from a DMG archive in just a few clicks. 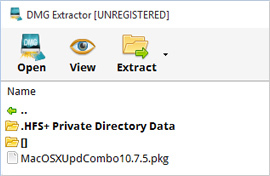 What can DMG extractor open? Main screen: Choose what to recover. 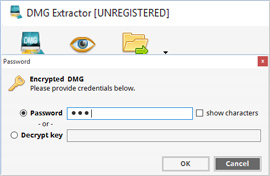 Encrypted DMG support: Recover encrypted DMG files. 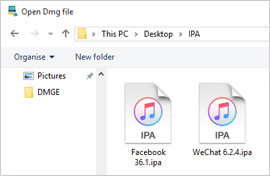 .IPA file extraction: Extract any .IPA zip or DMG file. 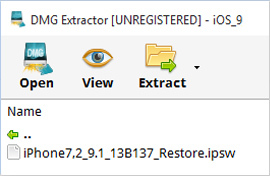 Extract the .IPSW restore file: from an iOS backup. See what DMG Extractor can recover for you.